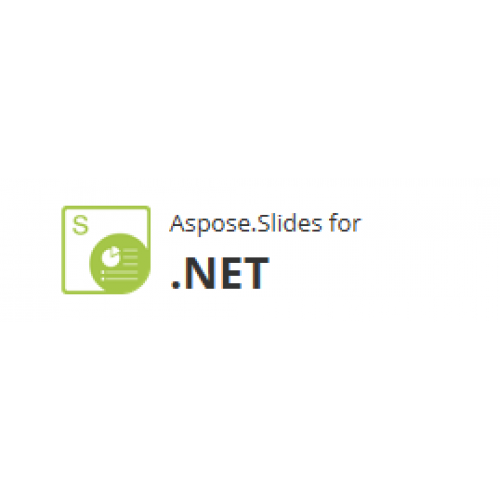 Aspose.Slides for .NET is a unique PowerPoint management component that enables applications to read, write and manipulate PowerPoint documents without using Microsoft PowerPoint. 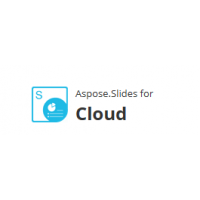 Aspose.Slides is the first component that provides functionality to manage PowerPoint documents within your own applications. Microsoft Office to be installed on the system. Aspose.Slides for .NET covers the most popular development environments and deployment platforms. You can confidently use Aspose.Slides for .NET to build any type of 32-bit or 64-bit .NET application including ASP.NET, Web Services and WinForms. 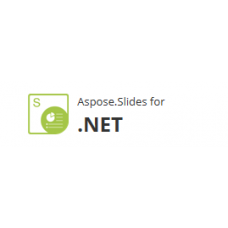 Using Aspose.Slides for .NET, developers can easily open and save a large number of file formats.Using Aspose.Slides for .NET, you can also lock Presentation files to protect the contents from changing, this is a unique feature of Aspose.Slides for .NET. It is also possible to convert presentation documents into PDF, TIFF and XPS formats directly using the component. Office OpenXML (OOXML) is the XML-based format that was introduced into Microsoft Office 2007. 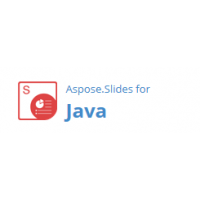 About Aspose.Slides for JavaEnable your application to read and write PowerPoint documents without u..
Aspose.Slides for Cloud allows you to extract different elements or a presentation including slide, .. 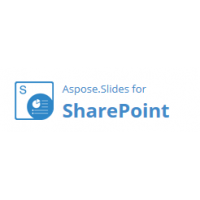 Convert PowerPoint files to other file formats from within a SharePoint application.Aspose.Slides fo..